Remember how nervous you were when you bought your first house? Well get ready to experience that plus a little added anxiety now that you’re planning to sell your home. There are ways to lessen that anxiety and take some of the pressure off your shoulders. The best way to do that is to hire an experienced real estate agent or broker. When planning to sell your home, the first thing on your mind is that you want to get the greatest possible return on your investment by finding the most qualified buyers. If you are looking for a quick sale, then marketing, showings, negotiations and your closing must all be handled in a tight time frame and that can lead to mistakes without a professional realtor at your side and watching your back. In other words, you might not want to tackle all that on your own. So, with so many different brokerages and real estate agents out there, how can you know who to trust with the task of selling your home? To help you answer that question, here are a few tips and some interview questions that you should be asking potential agents before deciding which one to choose to list your home. Word-of-mouth referrals are great, but you want to make sure that those referrals are coming from someone who has worked directly with an agent. 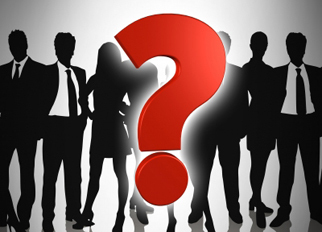 Ask the person referring the agent if they have worked directly with the agent or know of someone who has. A referral should convey an agent’s quality of work, communication style and manner of treating clients. You don’t get just one bid if you are renovating or getting a new roof so, likewise, you should interview at least three real estate agents when choosing a REALTOR. All should be interviewed in person to see if you feel comfortable with them. Trying to work with an agent that you don’t like or can’t communicate clearly can cause the stress levels of selling to escalate quickly. Don’t default to a popular brokerage or the first agent you find on Yelp or Angie’s List, do your research. Just because someone else likes them or gives them a good review doesn’t mean that they will be a good fit for you and, just because someone has a real estate license doesn’t make them a real estate expert. Don’t make the mistake of going with the first agent you meet or hear about. Again, do your own research. You can research an agent’s credentials online to make sure that the agent or company that you’re considering is licensed to practice in your state. You can also visit an agent’s website to check their current and recently sold listings to get an idea of their sales record. Look for agents that have sold a lot of similar properties to yours in your area. Real estate agents have the opportunity to earn professional designations from trade organizations such as the National Association of Realtors and other professional real estate groups. While there are plenty of credible, experienced real estate agents out there who don’t have these designations, the extra training that one puts into their trade shows a commitment to learning and offering the best industry practices and delivering top-notch services. When interviewing potential agents, it’s important to be prepared with a list of questions that will help you determine if they are qualified and have the right experience not only to market your home, but to get it sold quickly and at the best price. What are the comparable listings in my neighborhood? If an agent doesn’t have a list of comparable homes that have sold in your neighborhood, that can be a huge red flag. Comps, as they are called in the industry, are the standard to determine your home’s value and settle on the asking price. A good comparative market analysis shows current listings and homes that have been sold in the past three to six months similar to yours in size and amenities. What do you think my home is valued at and why? Most agents will want to walk through your home to take notes and see the condition of your home. This helps them to compare other homes in similar condition so they can provide you with an asking price they feel is in line with market conditions and your goals. You and your agent may not agree at first on the asking price and though it is important to have an agent that will support your decisions, you also need an agent who is willing to tell it like it is. The right agent will challenge your idea and perception and help you to understand the reasons why. Also, it is important to price your home aggressively when originally listed, that is when your home will get the most attention by potential buyers. What will you do to market my home? A good agent will have a laid out plan that will promote your listing to the right pool of buyers. Postcards, open houses, virtual tours, professional photography and/or broker tours for buyers’ agents (particularly for luxury homes) are all tools that may be in their marketing plan. Be sure to ask for examples of marketing materials and check out their website to see how they promote their listings. Do they have a list of potential buyers looking to move to your area? Are you a full-time real estate agent? This question may seem odd but it can be crucial as selling a home will require full-time effort and shouldn’t be handled part time. You don’t want to hire an agent who can’t take calls or show your home during the week because they are working somewhere else. Find out how long they have been selling real estate and how many listings they’ve sold recently. If they haven’t closed a deal in several months, that could be a reason for concern. What is your commission rate? The typical real estate commission is around 6% and that is often split with the buyer’s agent. Some agents might be willing to negotiate their commission, but don’t bank on it. After all, you are paying for a professional service. You can leave the commission question for last, but make sure you understand before you make a decision how much you’ll be charged and what exactly is included. 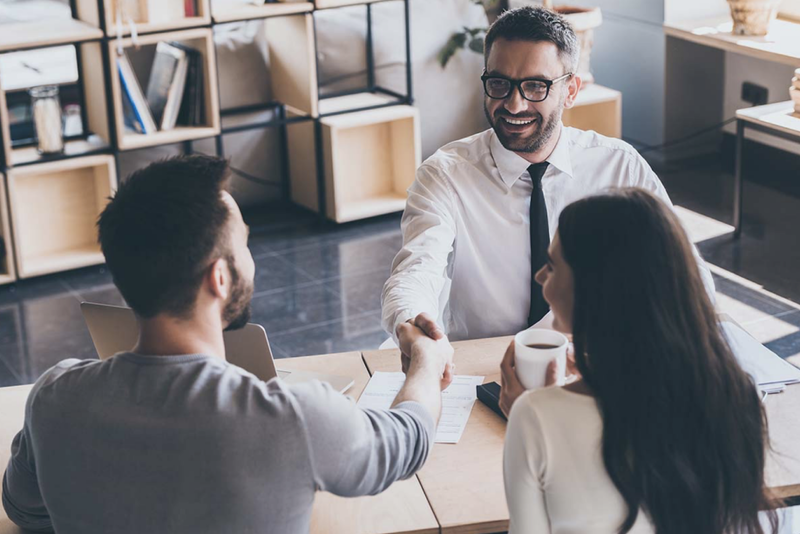 Once you’ve met with a few agents and found one you click with, you’ll want sign a listing agreement when you will agree to certain terms of service at the agreed upon commission rate. Typically, a contract will range from 90 to 120 days. An average home sale will usually take about 40 to 60 days to get from the listing stage to an accepted offer. This timeline could be shorter or longer, based on local market conditions. Now that you’ve decided on an agent, the tough part is over, relax and let your real estate agent take the wheel. All you need to do is keep the lines of communication open with your agent so you know what’s happening with the sale of your home. Needless to say, TOP USA Real Estate provides the service of finding the best real estate agent in your area, specifically for your needs. If you would like us to give you a list of the TOP real estate agents in your market just contact us.